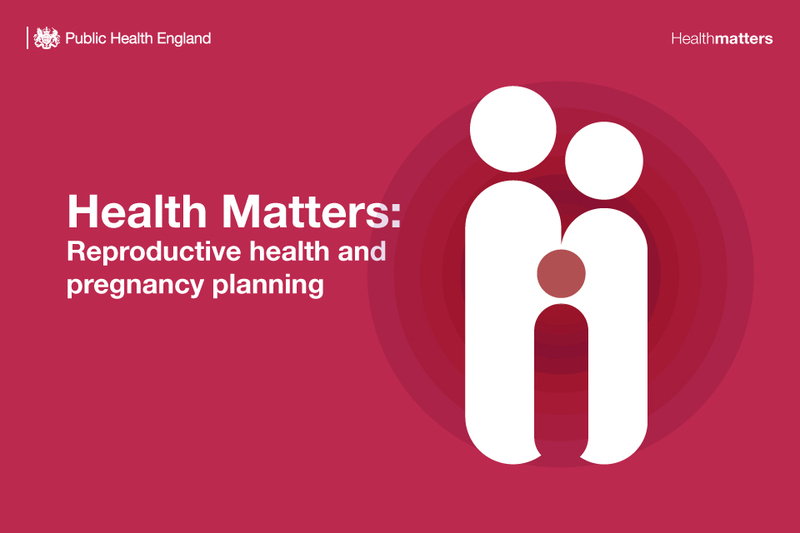 We hope our latest edition of Health Matters – on the subject of “Reproductive health and pregnancy planning” – will help you and other professionals by compiling key facts, figures and evidence of effective interventions. The majority of future parents do little or nothing to prepare for pregnancy. Ensuring that women and men achieve and maintain good health in their reproductive years is a public health challenge that impacts on future health for both themselves and their child. In this blog we’ve published the answers to a number of Health Matters questions we received from professionals across the UK at the recent launch teleconference. Joining me on the Q&A panel are Dr Catherine Swann, Deputy Director, Maternity and Community at PHE and Anna Lucas, Maternity Programme Manager at PHE. These are great resources, there are also other great resources and work in progress, how do we maximise the impact of all of these things in the pre-conceptual and pregnancy period, both the first pregnancies and subsequent pregnancies? We have been developing a whole programme of work around planning for pregnancy. As part of the Maternity Transformation Programme in July, we are launching documents to support local maternity systems to consider preconception care within their commissioning and within their transformation plans. One will make the case for preconception care and will go alongside a toolkit looking at local data by area around women’s risk factors for certain behaviours leading up to and during pregnancy. These documents should support local areas to actually review and assess behaviours in their area and risk factors so that they can then tailor and address their plan to those concerns. We’ll be supporting local maternity systems to consider how they can use these tools in terms of their future transformation plans and commissioning. In terms of professional leadership, the professional lead will vary depending on which point of this journey we’re talking about. So, it could be way back to school nurses educating boys and girls about the importance of relationships and what pregnancy means, it could be midwives or maternity support workers providing really important health advice within pregnancy, to be as well as you can be, and post pregnancy providing advice on protective factors and contraception. It could be health visitors, who have a relationship with the family in between the first pregnancy and other children, reinforcing the message. We have some specifically funded initiatives such as quitting smoking, which of course is still the biggest modifiable risk of adverse outcomes in pregnancy, and we have champions like myself and the chief midwife from NHS England, Jacky Dunkley-Bent, working across the programme to really promote the importance of engaging professionals so that we shorthand it to health promoting practice, whichever professional, whichever point of the journey. In summary, what’s really good from a reproductive health perspective is that we are now bringing together the concepts of contraception to link up more explicitly with the maternity transformation programme - so, reinforcing the concept of inter-pregnancy health including contraception delivered at the time of the postnatal period you highlighted that there are some difficulties about various responsibilities there. For reproductive health, it’s the start of the process, so we’re trying to bring together all the different stakeholders to look at solutions. The maternity services are a great opportunity to reach women who might not actually access services proactively. This is being recognised and then we need a collaborative piece of work to try and support local areas to deliver the sort of population level health in terms of contraception. How do we improve services and screening for thalassaemia and sickle cell conditions? What these documents do is start to think about earlier pre-pregnancy planning, and some of that will be linked to people with complex problems, including thalassemia and sickle cell as you identify. Addressing planning and preconception care a little bit earlier in the process will mean that when women reach the antenatal clinic they will not suddenly be having all these tests. That will be very much part of the thinking that will go into the reproductive health action plan development because we’re going to try and encourage that earlier level of thinking for women and for healthcare professionals to raise conversations. We also need to look at levels of community enablement. In communities where there is a high level of some of these conditions, are we doing everything we can to make people aware of the opportunity to seek advice and to plan a pregnancy at an earlier stage in the process. Additionally, in the maternity transformation programme, the NHS work streams are looking at what can be done to mediate high risk pregnancies. Part of the function of the preconception care pack that we’re launching in July, is to raise awareness in the broader health services, including primary care, about the importance of planning and preconception care for everybody, but also for women with long term and other conditions that might impact on their and their baby’s health in pregnancy. In December, we received an email circulated widely asking for invitations to tender for a maternal healthy weight specification. Have there been any developments in that work in the last six months? As a public health registrar, I’m interested in the contraception consultation and the opportunity for preconception care in a service where the primary aim is pregnancy prevention. This is very much the thrust of the work we’ve been doing. What we’ve produced so far is the groundwork for addressing pregnancy as a combination approach between prevention and preconception planning. In terms of dissemination of this message, it’s not just a PHE and local authority issue, so we’ve got lots of stakeholders who’ll be involved in taking that messaging forward, including the Faculty of Sexual and Reproductive Healthcare. We will be working to think about messaging to women themselves and then working with the Faculty to support professionals to have those conversations and tackle the issues together. I’m the National Clinical Director of Maternity (Matthew Jolly) and I also lead the data work stream for the maternity transformation programme. Congratulations on a fantastic document. I’m very supportive of the overall strategy of what you’re trying to achieve and it absolutely ties in with our strategy for meeting the Secretary of State’s ambition to reduce neonatal deaths, stillbirths and maternal deaths. My specific question is about metrics and the indicators. Do you have any ideas at this stage about what sort of indicators might help us track how well commissioning organisations are delivering your vision, particularly thinking of how we can track the work of local maternity systems in delivering the vision? I think we need to think about how we potentially tap into GP data, which is a big challenge but one that we have to try to pick up. I would be very happy to collaborate with you on trying to develop something. Thank you for joining the call, Matthew. It’s great to know that you want to get involved, so we’re very happy with that. We agree that metrics is going to be absolutely key to this. We have started some planning and we’re going to develop a task and finish group to look at it quite comprehensively. What we’ll be working towards would be a set of metrics that will support local areas to monitor the effectiveness of the care that they’re delivering. It’s still at the developmental phase, but it’s one of the main priorities for the action plan going forward. We are better at measuring by topic - we can measure whether women are smoking, we can measure their carbon monoxide for instance. Where the work needs to take us is a much more rounded basket of metrics that allow us to demonstrate the impact of risk prevention during preconception and during pregnancy. That is going to be vital work to do because otherwise we will just continue to start the clock too late, which is once women are pregnant rather than doing the primary prevention at community level for all women and then specific prevention for women when we know there are likely to be further difficulties. One of the key metrics that we will be working towards will be using the London Measure of Unplanned Pregnancy, which has been used quite widely in a research setting, and is a useful metric for measuring the effectiveness of prevention initiatives that lead to maximising the proportion of pregnancies that are planned. The broader challenge for unplanned pregnancy is that the engagement of wider health services in preconception care is going to be harder to measure and we will need indicators that reflect the engagement of services and maternity systems, which we know is very variable. So, we’d love to have some additional expertise on that and also make sure that the work of the maternity transformation is very much aligned to the work of this wider reproductive health. I’m a sexual health commissioner at a local council. Given a lot of the challenges around sexual health funding that covers contraception, is it really clear in terms of whose responsibility it is to commission it? Should CCGs commission it as part of their maternity commissioning arrangement or is it something that areas are looking at local authorities to fund as part of the public health grant? You raise a really important question. It’s like many of the areas that have been addressed in reproductive health documents which are that they will require collaboration because the responsibility lies across the sector. Without those local agreements between commissioners, it’s going to be very difficult. There are some emerging examples of good practice of ways that local areas have managed to address this but there’s not going to be a one solution. I think it is going to be locally determined and locally negotiated. I’m a Health Improvement Specialist at a local council. This time last year we were contacted from the Department of Health about pilots they’re going to do to improve the take-up of Healthy Start vitamins. Given that within your presentation today you talk about folic acid, I’m just wondering if there’s any work going into looking at improving the take-up of Healthy Start vitamins? We’re working very closely with the team on Healthy Start and there are plans to look at this over the coming months to see how we can improve uptake, look at the different modules and what local areas are doing to promote and deliver it. We will hopefully be sharing some information soon, but I’d suggest contacting your local PHE centre for advice and support, which would be a really good way to have those conversations about uptake in your local area and the areas around. I’m a public health strategist for children and young people at a local council. Do you know if any local authorities have done any social prescribing pilots, which involved pregnant women to encourage healthier lifestyles within pregnancy? This is an area that we’ve talked to local authorities about. PHE has another set of products under our All Our Health banner, which shows the kind of community level action and interaction that can make a difference to some of the public health challenges. For example, what would a smoke-free town look like, what would a breastfeeding village look like? Certainly, we have local authorities that are using or interested in using some of those products. In terms of actual cases studies. If you contact us we can let you know whether we have any case studies already on record. Midwives are a pivotal group of professionals who need to be involved much more in preconception care than they are currently. Many years ago I was a community midwife with Sure Start. Our office was in the community and we were completely accessible for our geographical area. It was very easy to provide that preconception care because we had built up trust and relationships with our families. It was all decommissioned and it feels like it’s all being set up again but I hope that it’s being set up with the outlook for being around for much longer because it worked really well. It would really help with implementing some of these objectives. Nobody could argue with trusted professionals being based in the community, particularly communities that have limited access or are deprived communities. We have some opportunities in the community hubs that are being developed with the maternity transformation programme. One of the things that we’ve said is that we must make sure that these community services, whether through former community hubs or otherwise, reflect the needs and wishes of the community and do not become sort of an outpost of the hospital. Because they have so much more potential, which you’ve just described so clearly, to have these professionals provide the kind of advice during preconception, between pregnancies and during the course of pregnancies, which start to really impact. We all have this massive safety ambition and we know that to fully realise it, we not only need to have the very best care we can at later pregnancy and the point of delivery but we need to have it before, between and in early pregnancy. So, it’s very helpful to have that comment and we will continue to feed it into the development of these community services. I’m a consultant in sexual and reproductive health. I completely support all the discussion about involving midwives, but I think that there are some other opportunities around early pregnancies that fail and also around other pregnancies where the women choose not to continue, so basically early pregnancy clinics and abortion care services. There is perhaps some way of identifying those who are potentially planning pregnancies in the future and that might be quite an ideal opportunity to talk about inter-pregnancy interval and preconception care for them in the future. There is the opportunity when women present for removal of their contraceptive device to get these messages across. That’s a really important issue to raise. These types of pregnancy service draw in a lot of women for whom future pregnancy is a reality and to have those conversations at that time is not inappropriate. As with maternity services these are conversations that we should be having amongst the pregnant population whatever the outcome. Do please download the infographics and the slides, the case studies and all the other materials. Please keep on sharing your stories about how you have used the Health Matters materials to communicate your messages and to get things done, or if you have ideas for improvements. Just send an email to healthmatters@phe.gov.uk.